Netflix has changed the way we watch movies. More importantly, it has changed what we choose to watch. Five or ten years ago, it would have been almost inconceivable for someone who isn't a film buff to recommend under-the-radar independent or limited releases like "Red Lights" or "A Bag of Hammers." Last week, I got an enthusiastic text message about both. Now they're in my instant queue, waiting to be watched (and possibly reviewed here). 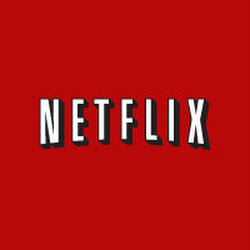 The Swiss army knife of Netflix sites. You can sort the movies in a variety of ways: newest, most popular, New York Times Critics' Picks, Rotten Tomatoes Fresh, High Definition, and a variety of other categories. There's even a section for Netflix Canada. I always choose the "visual" option, which sorts the movies by the newest added and includes pictures of the box art for easier browsing. A more straightforward presentation. I like it because it has larger box art images and provides the synopsis of a film in less steps. Like Instant Watcher, it also lists what's coming soon and expiring (and there's a category for Canada as well). I always start with the "Just Arrived" section. Which one should you choose? Both! Sometimes one site will have something the other missed. The first site I discovered of this type, and possibly the oldest. It has gone through numerous changes over the years. It shut down briefly, but ended up reopening with a more limited scope, highlighting only major studio releases. In the process of writing this article, I found a resource I hadn't come across before: the Instant Watch Database. I particularly like the "Lists" feature, which compiles various "best of" lists and shows which of those movies are available for streaming. Another new website I discovered while writing this. I really like it, because it includes robust search features for not only Netflix, but also Hulu Plus, Amazon Instant Video, YouTube, and a variety of other streaming services. This site is worth keeping an eye on! For a while, Netflix lagged badly behind these third-party solutions. That's beginning to change. 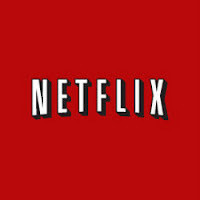 The official Netflix site and apps are now much more reliable about showing what has been added for streaming. Netflix's own RSS feed is especially handy. You can use it on the web, with an RSS reader, or with sites such as Yahoo and Google. Now that you've found a movie to watch, how are you watching it? If you're using a tiny laptop monitor or uncomfortable desktop computer setup to watch Netflix, you should probably consider exploring more comfortable options. If you have a video game system (such as the PS3, Xbox 360, Wii, etc. ), you can download a Netflix app from the device and watch it on your TV. If not, Roku boxes are inexpensive. They start at $50 and are easy to hook up. You can also watch from some phones and tablets, but that's even worse than using your computer. Whatever you decide, there are a wide variety of options at your disposal. Boring But Probably Necessary Disclaimer: The third-party websites listed above are not associated with SilverScreenSurprises.com. Every effort has been made to ensure that they are safe to browse, but external links cannot be guaranteed by this site. The user assumes all responsibility.